We know how important it is to have a predictable work schedule. It makes your life more manageable and keeps everything running smooth. The Cooperation software is designed to schedule people in regular cycles, and we’re hard at work on even more tools to keep things predictable. If your company doesn't yet allow for consistent assignments, we can help them get there. Plus, since we automate a good portion of creating the schedule, managers can announce shifts early and you can make plans. You can check the website or receive email, text, or voicemail notifications when new schedules come out. Cooperation makes it easy to trade shifts and keep your wages up instead of simply skipping a shift when you need time off. You can even see how much you'll earn for each trade you're offered. You can offer a trade to specific people or to everyone qualified to work that shift. When it comes to processing time off requests, we help managers make decisions quickly so you can get an answer.. Simply submit your request through the system and the on-call scheduler will be notified. 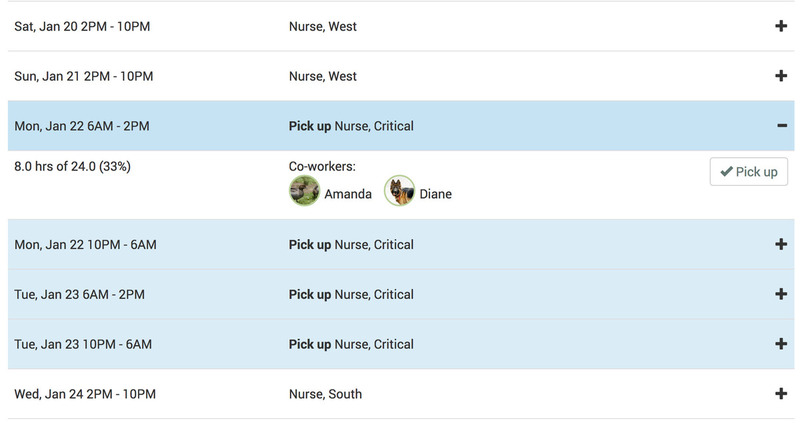 Cooperation runs an analysis to help them see how your request will affect the schedule as a whole so they can get back to you with an answer right away. Never call around to ask for extra shifts again. When you want more hours, just check your Cooperation dashboard. 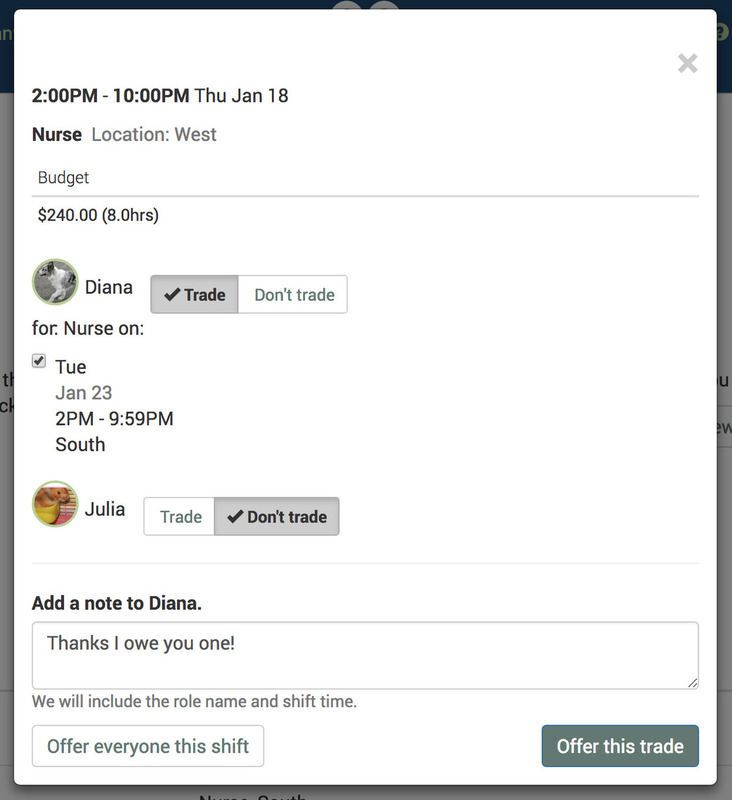 You’ll be able to see who’s looking to trade and also whether there are any short-staffed shifts that you’re qualified to work. All you have to do is sign in and sign up to work. While you can’t log any overtime doing this, you can work up to the limits set by management. Our timeclock runs on a tablet you can clock in and out from with just a PIN. At the end of the day, we’ll email you a time slip to show what you earned that day. Management can also enable clocking in/out from your smartphone or the website. Because the system is computerized, data entry and payroll errors should become a thing of the past. If there ever is an error though, you can message your supervisor through the system to correct it. You choose how Cooperation contacts you. You’re in control of how and how often you receive notifications—whether by email, text message, or phone call. 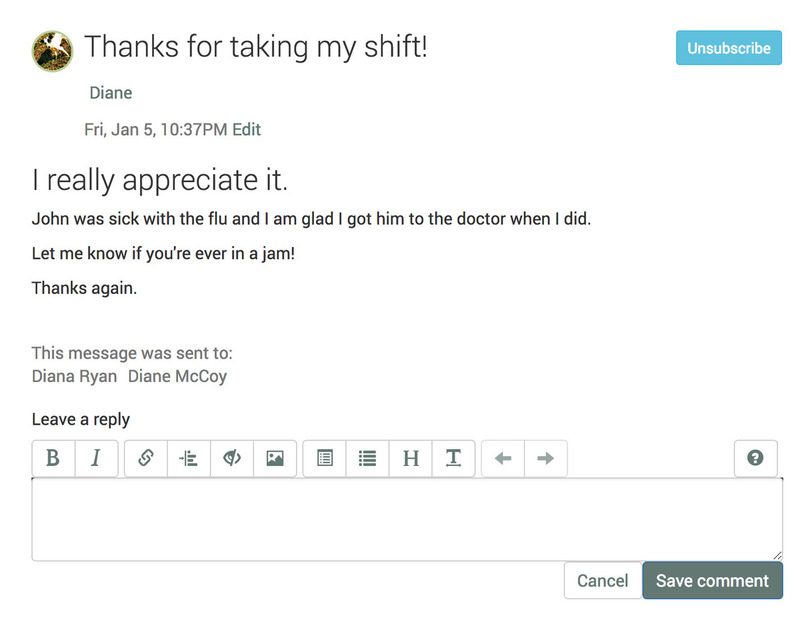 If you need to get in touch with coworkers, you can use the messaging system to send notes back and forth. 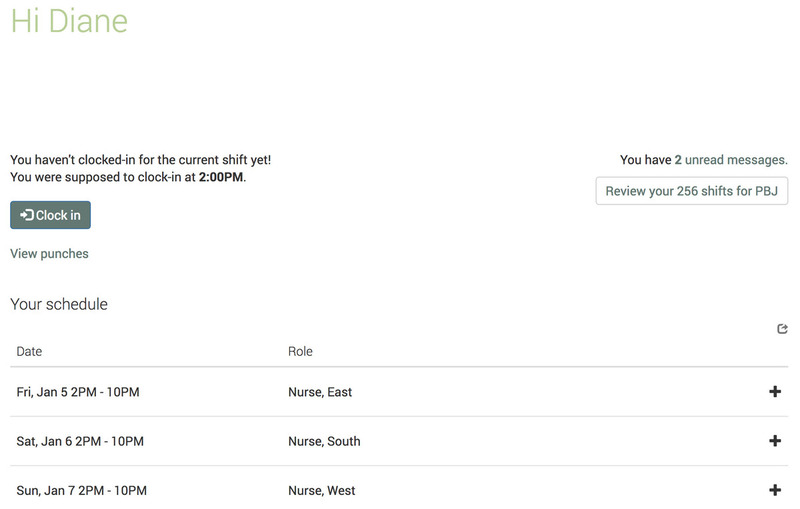 When schedule changes happen you'll be notified and you can always sign in and see who you'll be working with when you're due in. We try to help your company keep the surprises to a minimum by enabling easy effective communication. When they have announcements they can also set reminders for them so you can be notified several times for important things.